How to Tour Little Havana and Sightsee Through Calle Ocho! 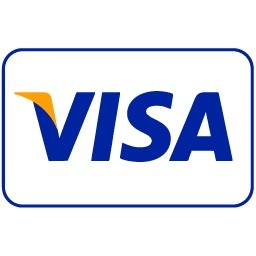 Want to learn about all the historic places and tourist spots located in Little Havana, Florida? Do you live in Miami and missing out on all the great things Miami Beach has to offer? Book a tour with American Dream Tour and learn about Little Havana. 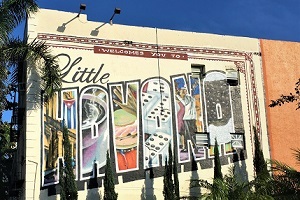 Our two hour car tour fully covers all of Little Havana as well as other nearby Miami landmarks. 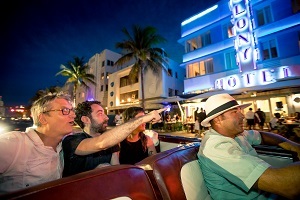 Tour also fully tours Miami Beach. On this City tour of Little Havana, you will pass by at and even stop at the best places in Little Havana. 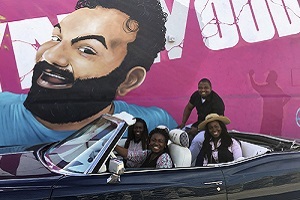 See South Florida's historical Little Havana buildings along Calle Ocho, pass by Domino Park and many other famous locations and buildings in an antique convertible car. 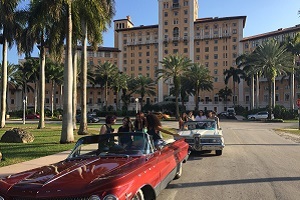 As the Car Tour leaves Little Havana, Tour then passes through other Miami areas, then heading to Miami Beach to sightseehistoric Art-Deco buildings along the beach, pass by Gianni Versace mansion in a Car Tour passing The Fontainebleau Hotel and many other famous buildings. Drive by the Holocaust Memorial, Wolfsonian Museum, The Fillmore theatre and many others. Buildings painted with pastel colors, as well the Fontainebleau Hotel as you cruise down on Collins Avenue, in a classic convertible car. American Dream Tour combines the Best Miami Tour spots to create the best tour experiences to tourist as well as local South Floridians. Click to learn about American Dream Tours and learn more about Classic Car Tours in Miami.